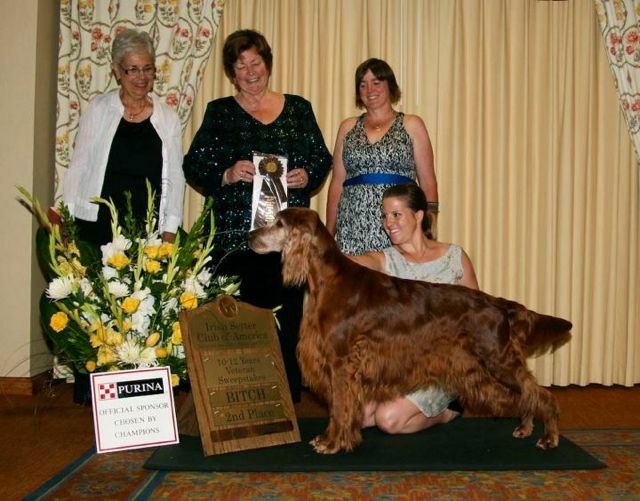 Raisin at the ISCA National veteran's class with Kelli Aitken in 2012 and watching her grand puppies in the field. Raisin was a superb Mom! 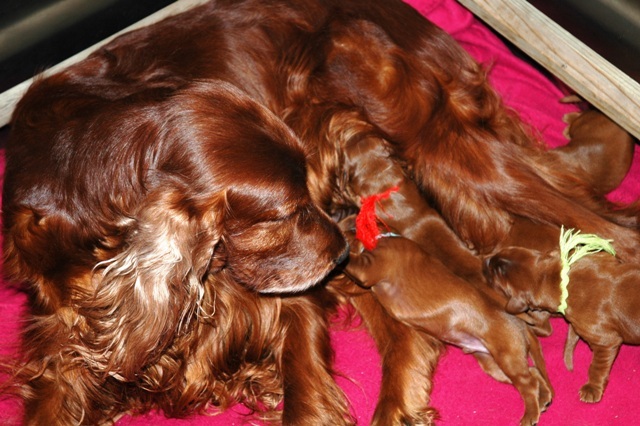 She is photographed here with her first litter. 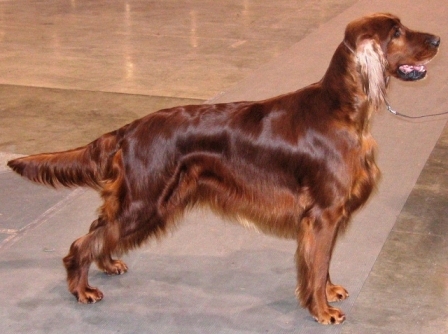 Next is a photo of her finishing her Master Hunter Title under Cristine Cameron and Penny Ljundgren. 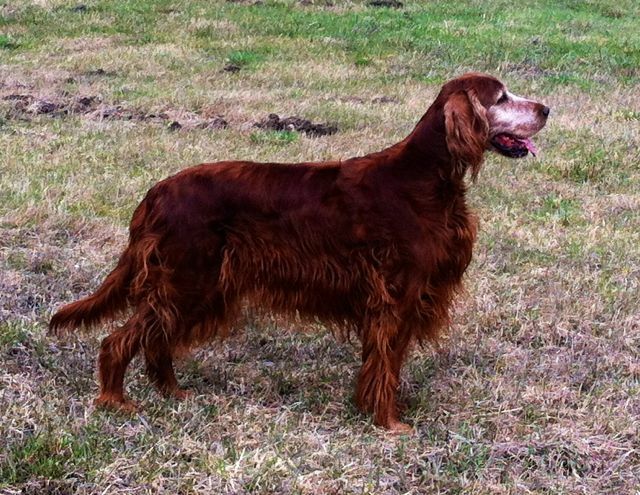 Also shown is her after the first time she won the Top Irish Setter award for the North West Field Trial Council. My ex-husband Ken and Raisin are photographed with their first goose at the bottom of the page.